Where? 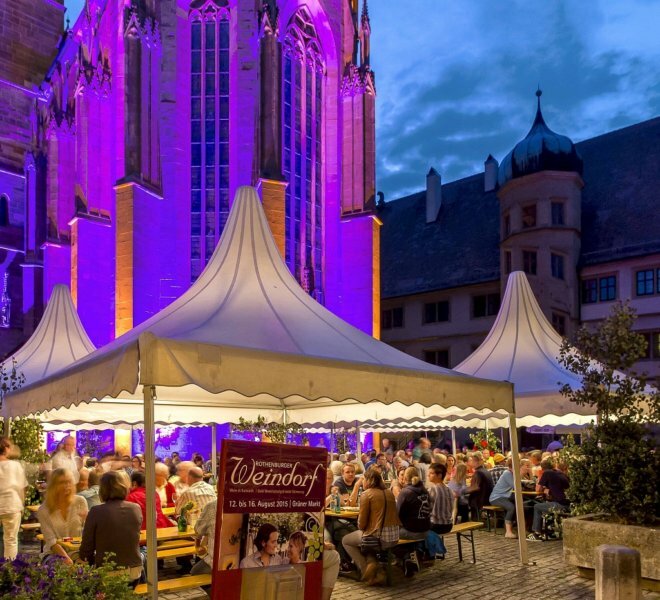 The Rothenburg Wine Village is held at Grünen Markt and Kirchplatz in the Medieval old city. What? 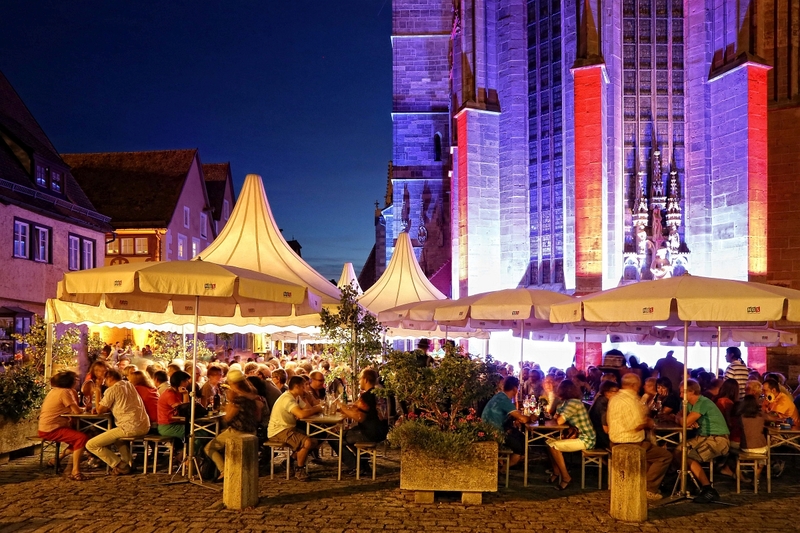 The Wine Village becomes home to local restaurants and their partner vintners, where they serve a wide selection of excellent Franconian wines and non-alcoholic beverages. 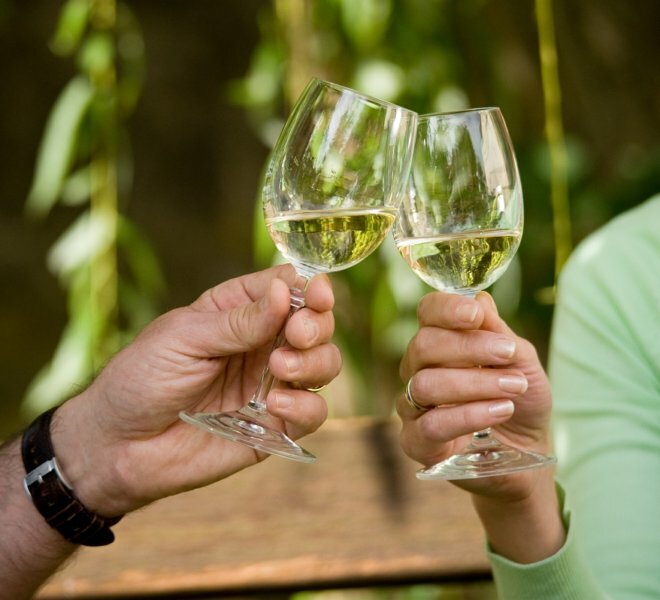 Choice regional specialties and Michelin star cuisine are also available to enjoy. It’s a wonderful place for interesting conversation in a relaxed summer ambience. 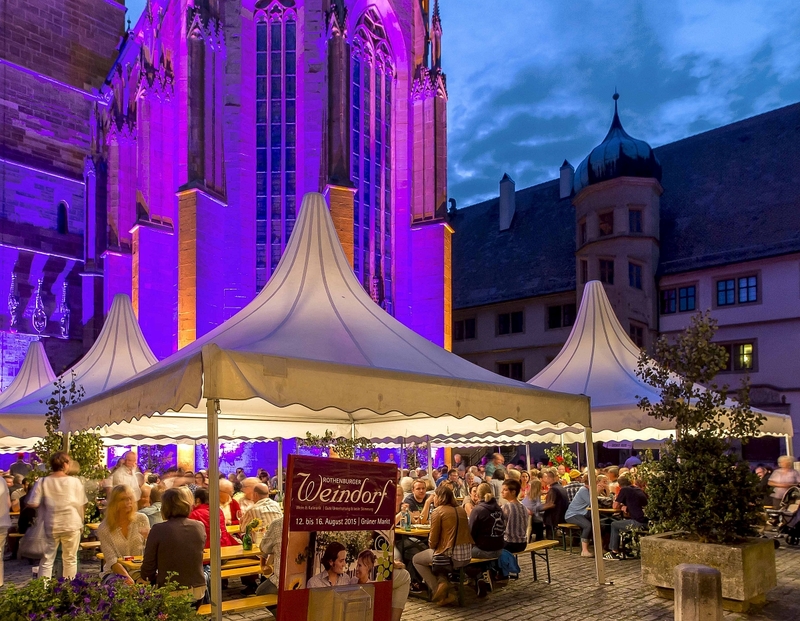 Fun fact: Six vendors take part in the Rothenburg Wine Village! 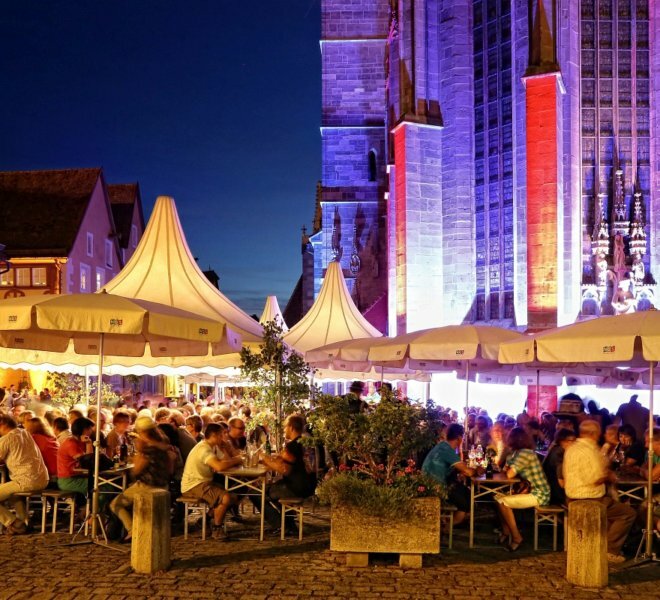 If you should miss the Wine Village: The gastronomy association Taste of the Tauber is dedicated to wine culture all year round. 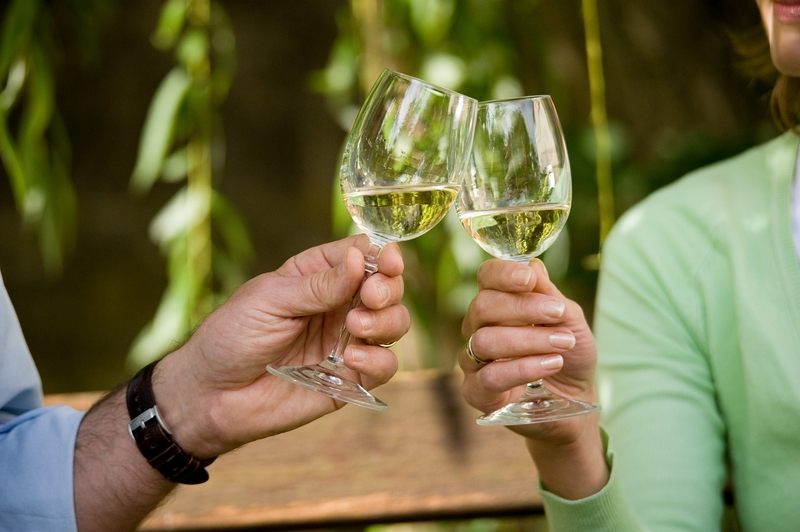 The perfect Franconian wine for three seasonal, regional specialties is served as part of the Temptation.